UNP second-tier MPs and backbenchers have railed against Malik Samarawickrama, a close ally of Prime Minister Ranil Wickremesinghe, for backtracking on his promise of not accepting a position in the new Cabinet. Samarawickrama announced at the group meeting of the United National Front earlier this week that he would not take up a position in the new Cabinet. Thilak Marapana and D.M. Swaminathan, two other national list MPs of the UNP, also expressed similar views. Samarawickrama’s remarks earned the appreciation of many UNP backbenchers and relatively young members in the group. Colombo Telegraph learns that after the group meeting, UNP MP Hirunika Premachandra walked up to Samarawickrama and kissed him on the cheek in appreciation of making a “grand sacrifice” for the party. Their declarations of voluntary exclusion also gave rise to hopes that relatively young members of the ruling camp who played critical roles during the political turmoil would be given Cabinet positions. Many UNP cabinet members were surprised to see Samarawickrama and Marapana at the Presidential Secretariat this morning. They were particularly shocked about Samarawickrama as he has not played an active role in the UNP camp since the outbreak of the political crisis on October 26. 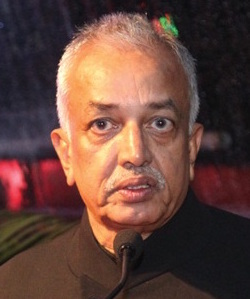 Samarawickrama, however, managed to include his name in the final list at the last moment and retained his previous ministry. In addition to his previous position as the Minister of Development Strategies and International Trade, Samarawickrema also received an additional position as the Minister of Science and Technology. “His remark at the parliamentary committee might have been a trick to preempt any outcry against his appointment. Many UNPers were unhappy about Wickremesinghe’s close associates holding sway over affairs of the government. There were also views that national list MPs, such as Samarawickrama, should not hold Cabinet positions. His earlier remarks diffused such sentiments and it allowed the Prime Minister to “smuggle” their names into the list at the last moment,” a source familiar with the matter said.